Jelly 4G smartphone is compact enough to fit in the coin pocket of your jeans. Want to learn more about the tiny Android phone? Let’s continue checking. 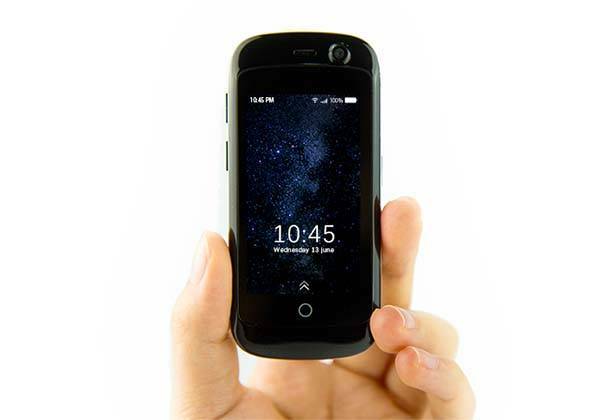 The Jelly is an ultra portable Android smartphone that measures 1.7 x 3.6 x 0.5 inches (43 x 92.3 x 13.3mm). As we can see from the images, the smartphone shows off a compact and smooth appearance design so you can effortlessly hold it in your hand for calling or slide it in the coin pocket for easy carrying. Meanwhile, three color options allow the phone to match more personal styles. Jelly is powered by a 1.1GHz quad-core processor and comes equipped with 1GB RAM and 8GB ROM with microSD card slot so it’s capable of smoothly running many daily apps like Facebook, Twitter, YouTube and more. Furthermore, there is an ungraded version: Jelly Pro. Using 2GB RAM and 16GB ROM, the smartphone can deal with more apps and games. Moreover, the Android phone also features a 2.45″ TFT LCD display with 240 x 432 pixel resolution and has a 2MP front-facing camera and a 8MP rear camera. In addition, other features also include Android 7.0 OS, 4G LTE, dual nano SIM card, GPS as well as Bluetooth 4.0 and 950mAh rechargeable battery offering up to 3 days of working time or up to 7 days of standby time. The crowdfunding campaign for Jelly is ongoing via Kickstarter. 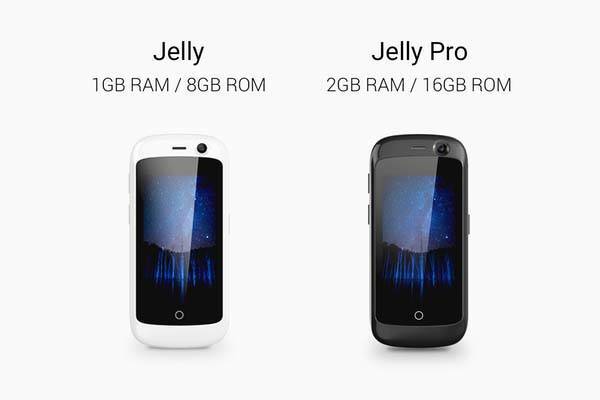 Pledging $69/$85 will let you own Jelly or Jelly Pro smartphone. The two models would be shipped in August 2017.